This photo must have been taken before WW2, as the Air Raid shelters aren't on the land in the foreground. I went to school here for a couple of years (1969 - 71) when it was St Albans Seniors. It is now a community centre. Its unbelievable that it's still standing really. I'd never seen this before, and I've just looked now on Google Street View - I might drive up there some time. Thanks for this! It's been altered a bit, but the original structure is still very recognisable. I used this photo in this slide show too. If the link doesn't work, just type Life In A Northern Town into the search in the top left corner of the homepage (well any page) and it should take you to it. I went to this school 1960/64.loved every minute of it..paul.bruce.fred.mr redhead.left school and joined up. I went to bangor street school.1960/64.best time of my life.loved every minute of it.school mates and teachers were great...paul b.bruce..Ronnie c.harry r.and the best teacher mister redhead. Yes I do. Joe Conlon was Headmaster when I went to St Albans High school. Do you remember Mr Mercer he was Headmaster of the junior school. 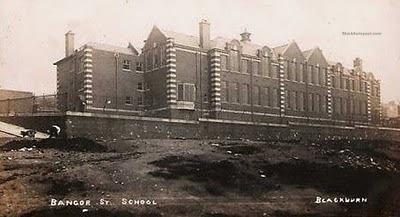 I attended St Alban's from about 62 to 66. I remember Mr Swarbrick, Ma Mercer, Tom Grimshaw, Mr Chesworth (his party piece was: "Sit down, shut up and pay attention"), Mr Hilton, the unsinkable Joe Conlon, Mr Wilkinson, Mr Parkinson an his pals Mr Whippy snd the anvil, Mr Bradly and I'm sure there was more. Happy days! I remember a few boys names,like Micheal Heaton,Paul Towers,David Eccleston John Jump,Kevin Worden.I remember most of the teachers,Joe Conlan especially as he put me off defending other people from bullies for life Mr Wilkinson I remember as a really nice teacher and a laugh, Old Perkis was a hoot we attended his class in "the cabin" Anyone remember getting caned for having a picture of Diana Dors on a cig Card,Half the school got hammered. Cannon Mcenry was at the church,Tried his best to put great fear into the boys,Didnt work on me though.